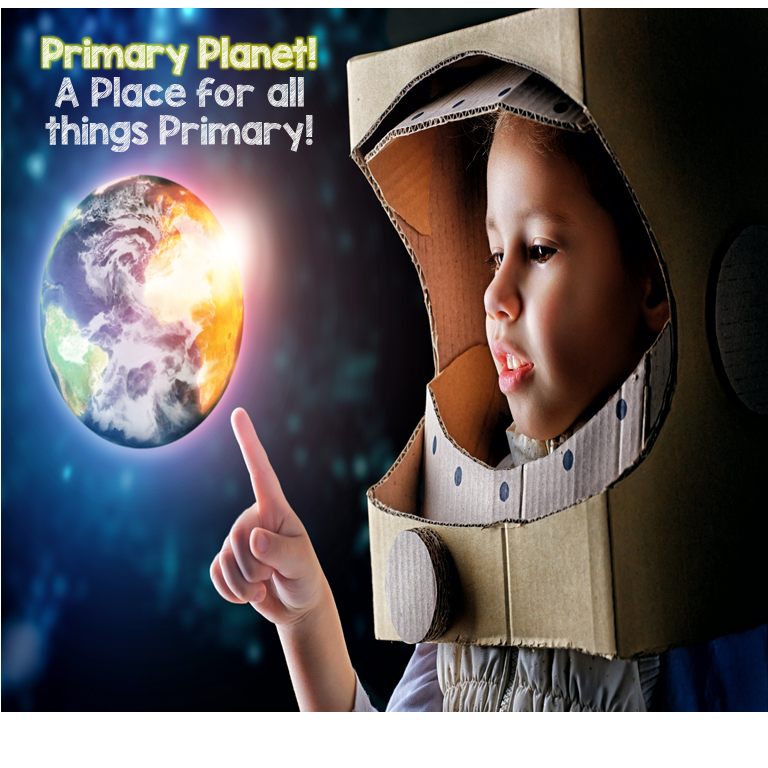 8 Morning Work (Bell Ringer) Ideas with Freebies Part 2 | Primary Planet! 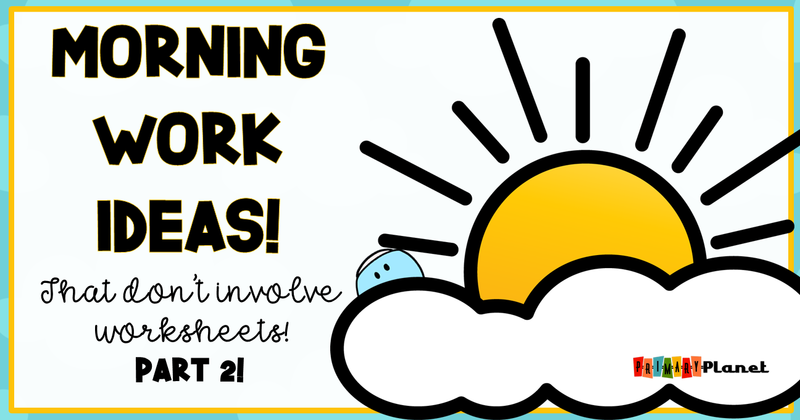 In my last post, I started talking about Morning Work Ideas that don't involve worksheets! Check out some other ideas! 5. Talk to your friends! Sometimes the kiddos come in with a story to tell or something that they desperately want to share. I am not a fan of Show and Tell, or Show and Share, so I try to give them time to just come in and talk to one another. Sometimes I put a topic on the board (it usually goes with whatever topic that we are going to talk about during morning meeting.) This can get rather noisy, but I think that the social-emotional impact of just talking to one another is huge! I also love to go and join in with the informal conversations. It is a great way to get to know my kiddos too! This choice is perfect for those days when you have limited time for morning work. I also love this choice on field trip days as the kiddos are so hyped up anyway, all they want to do is talk about the field trip! Also, parent chaperones are often in class to join in the conversations! This one is the ultimate easy morning work choice! These are fun puzzles that the kiddos use pattern blocks to solve! They build and record the block that they use to make the picture. Then, they try to make the same item with more pattern blocks and fewer pattern blocks! They LOVE it! You want to try it? 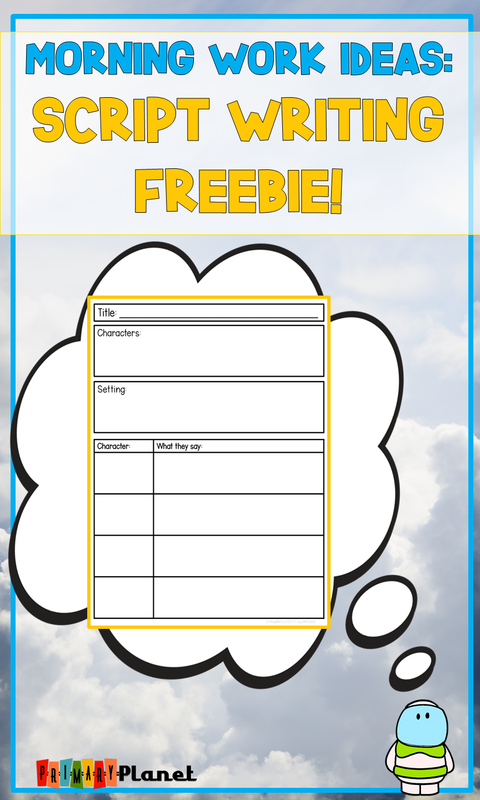 I have another freebie for you! Click the pic to get your freebie! Love it and want to get some more? You can find them in my store HERE! Students LOVE play dough! 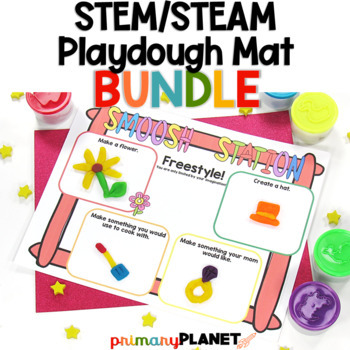 These fun play dough mats for STEM/STEAM are perfect for morning work activities! The kiddos just need a mat and some play dough! The mats have challenge your students to create solutions to problems using play dough! They LOVE it! There is also a "Free Style" space for your kiddos to explore their own Play Dough creations! Math manipulatives are always fun! 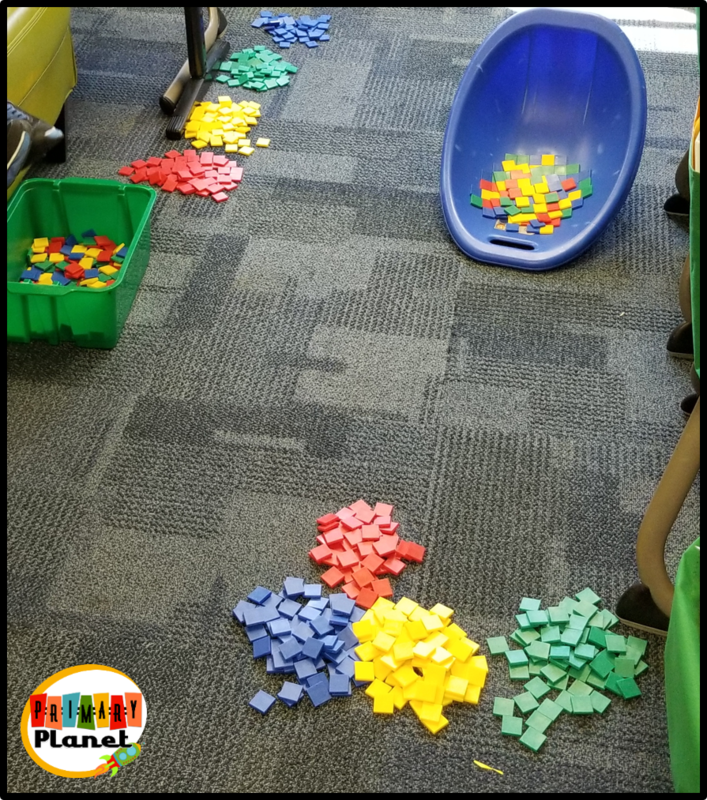 I have all mine in easy to move tubs, so I can just set them out and let the kiddos take them and find a spot in the room to use them! 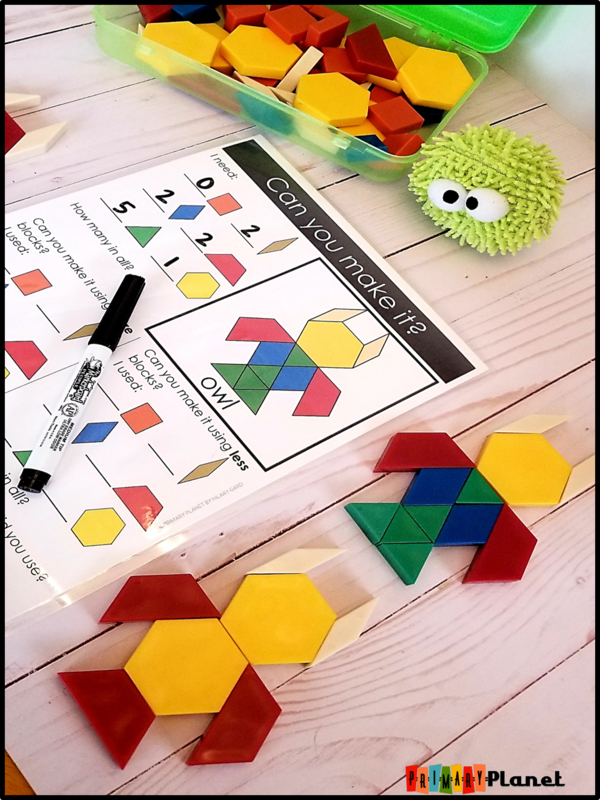 The kiddos LOVE Polydrons, Pattern Blocks, inch tiles, snap cubes, base ten blocks, linker cubes, tangrams, creative kids flakes, and geoboards! You can find these items HERE in my Amazon Influencer Store (Affiliate Link). So, the Story Telling Center in my room is one of the favorite spots of my kiddos! They love to use all kinds of manipulative to tell stories! Their imaginations just run WILD! This is my favorite place to spend time with the kiddos if I am not pulling small groups or working with students one on one. We have so much fun telling stories! What do I have in my storytelling center? I found these great plastic toy sets from Aldi! There is a jungle animal set, an ocean animal set, and a dinosaur set. These are just plastic animals that the kiddos can use to move around, play with and use to tell different stories about the animals! These are affiliate links to find similar sets to the ones that I use at Amazon. I also have Story Cubes! There are all kinds of ways that these can be used to help the kiddos tell stories! This is an affiliate link. I LOVE these! I also have magnetic poetry (affiliate link). I LOVE this set. On one side is a common word and on the other side is a vocabulary building synonym. Finger puppets are also very popular in my storytelling center (affiliate link). I have some very dramatic minded kiddos this year who LOVE to perform. They really enjoy making up stories for the finger puppets to act out! My students also really enjoy writing their own scripts for the finger puppets or for each other to do their own skits and Reader's Theatre! They can write their own original script or write a script based on a favorite book! Yes, I do have a scriptwriting freebie for you! Thanks so much for asking. You can download it HERE, or save it for later by pinning the image! I love to have the kiddos write for morning work! They can choose from many of the items that I have in my writing center, choose a spot in the room and WRITE! They love this option as well. If you would like to read more about what I have in my writing center, you can find that blog post HERE! If you want this to be a more structured writing time for your students, I do have some other ideas! 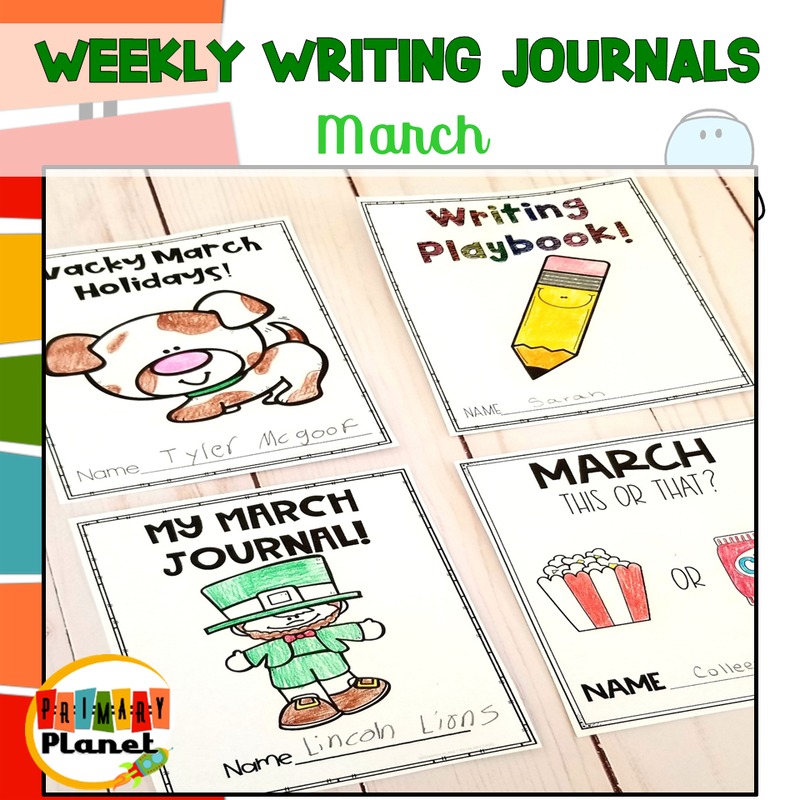 Have your students write in their journals. A journal could be a notebook, binder, or, just a few pages stapled together! You could let them free write, or put a journal writing prompt on the board. You could also have them write about a book they are reading! I really like to use these short but sweet Weekly Writing Journals! 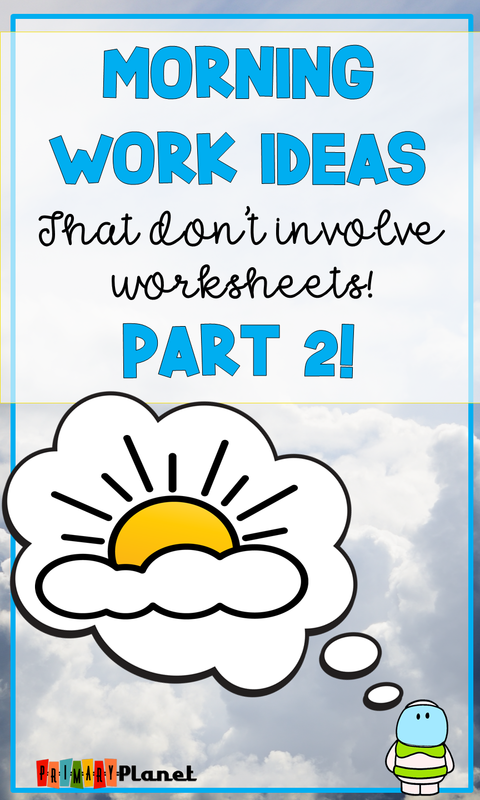 Fun topics that are quick to write about and really fun to share! Another morning work writing idea that my students LOVE is using Pick a Prompts! Haven't heard of Pick A Prompts? You can find a blog post that I did about them HERE! 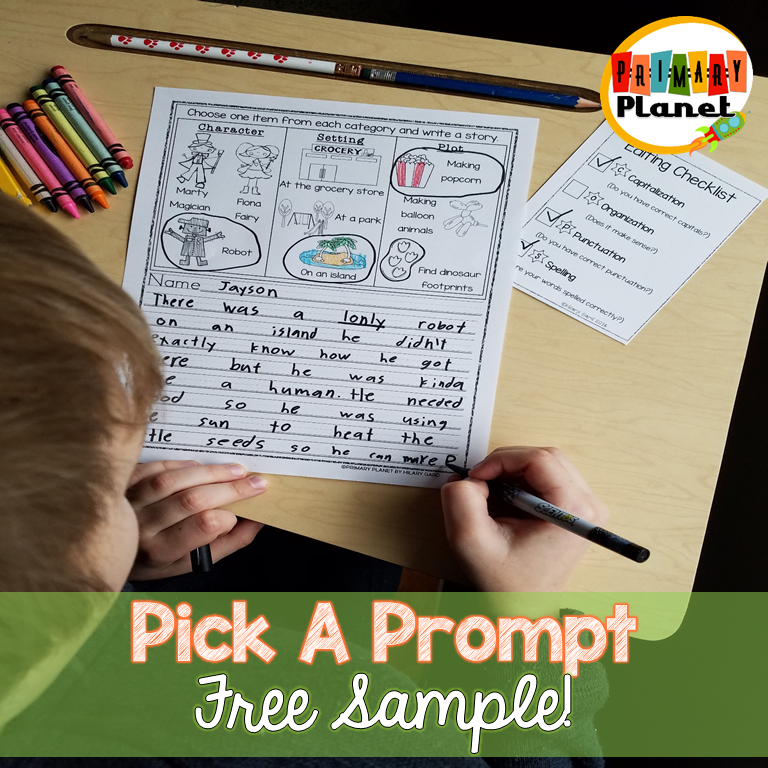 There are a myriad of ways to use pick a prompts, but the easiest by far is just to make a class set of copies and leave them out for your students to take one when they come in. They choose a character, a setting, and a plot point, then write the story! I always let my students use as many items as they would like and color the ones that they choose to put in their story. Short on copies? Print 2 to a page set, laminate and put in your writing center. This is also a good way to provide some variety! Want to check them out, or better yet, try them out? You can click the picture to get some for yourself for FREE! These are also fantastic for leaving when you have a substitute teacher and want your kiddos to keep writing! Maybe you're looking for something a little quicker. Quick Write Writing logs or writing warm-ups are also a great (and super quick) way to get your kiddos writing for morning work. A variety of writing skills are covered and spiraled through the whole year! They are fun and easy to share! My students LOVE to use these fun writing games. 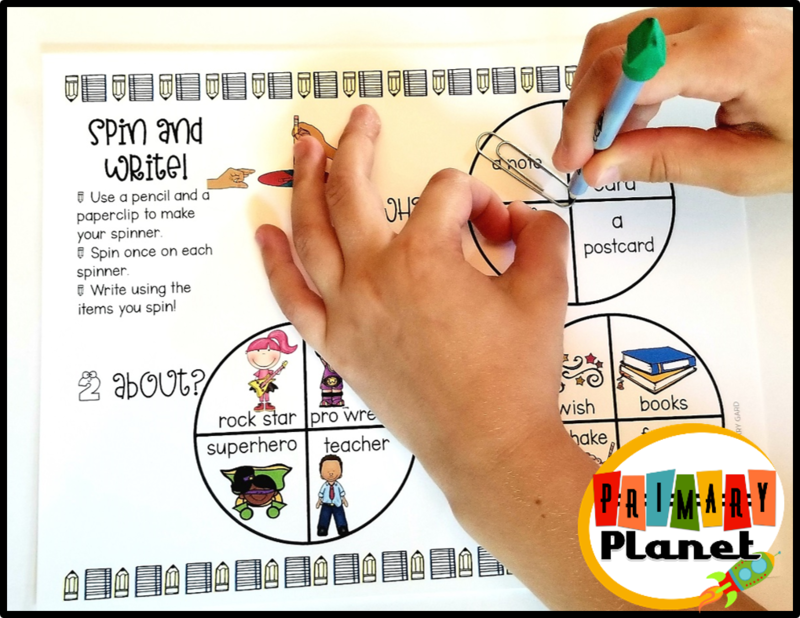 They can use the writing spinner or roll the dice to determine what they are going to write about who did what? 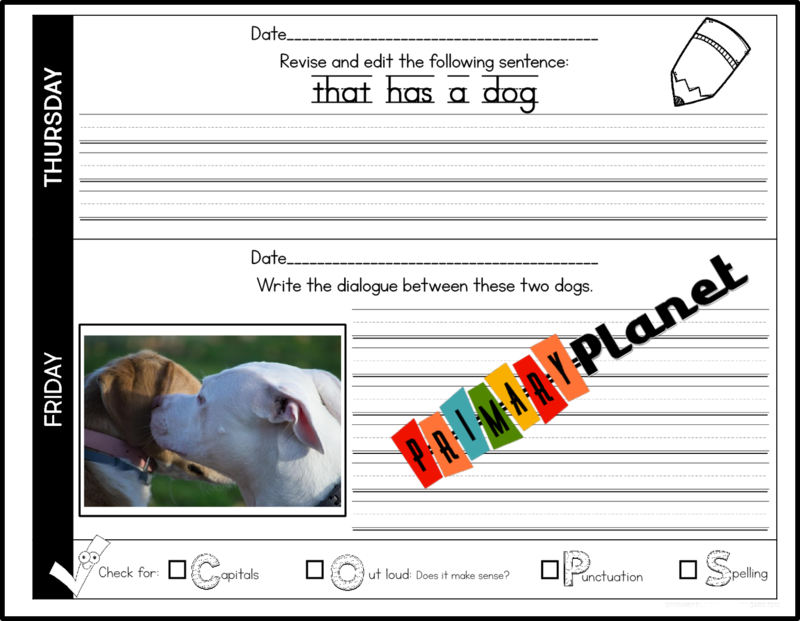 You can use the writing templates or you can edit these to fit your student's needs! 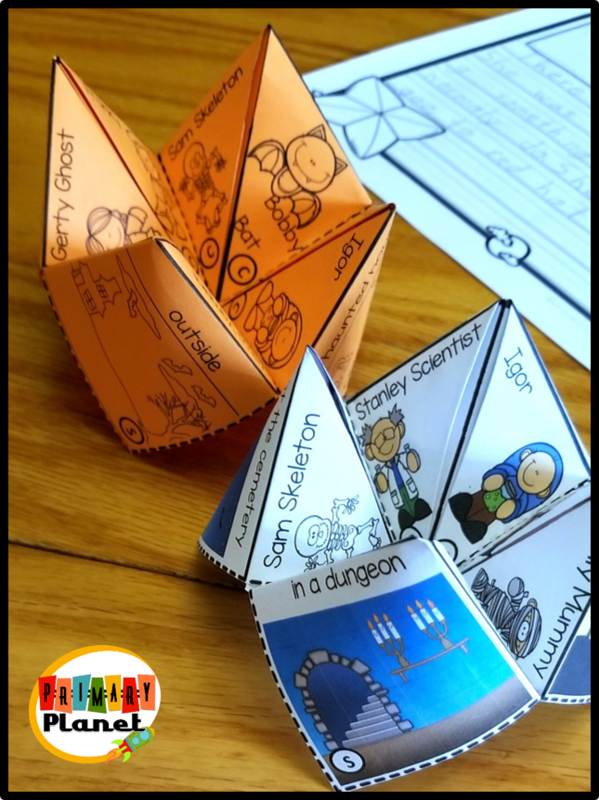 or, these engaging Cootie Catcher Story Starters! It does take a few times of showing the kiddos how to fold the cootie catchers, but every year I have at least one kiddo who come in knowing how to fold them. My students ADORE cootie catchers and they LOVE using them to tell and write stories! Click on the pic to get your free Halloween Cootie Catcher in my Tpt store, or you can get a free emoji Cootie Catcher Storyteller when you sign up to receive my free newsletter! We are a 1:1 with devices school, so the kiddos bring their Chromebooks to school every day! This can be both a blessing and a curse. There are numerous great learning things that the kiddos can do on their computers, but sometimes monitoring them can be a challenge. We recently as a school corporation got Go Guardian, which lets me monitor everyone's screen and history at once. I am not affiliated in any way with Go Guardian, but I am very happy with the service that they provide! Here are some of the sites that I have my kiddos use for morning work! 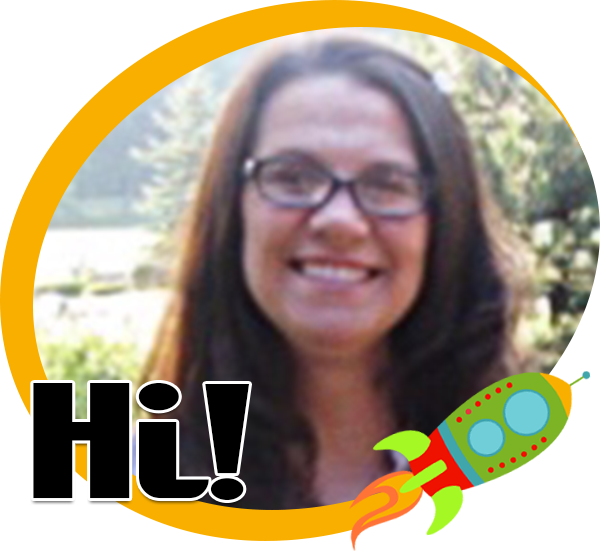 IF you have other sites that you LOVE for Reading, Math, or other educational pursuits I would love to hear about them! Drop me a comment and I will add them to my post! Thanks so much for reading and stopping by! Phew! That was a lot of info in one post! Pin the image below to refer back to this post (and grab your freebies!) I appreciate your shares!